Iron deficiency anaemia is a major challenge among consumers in developing countries. Given the deficiency of iron in the diet, there is an urgent need to devise a strategy for providing the required iron in the daily diet to counter the iron deficiency anaemia. 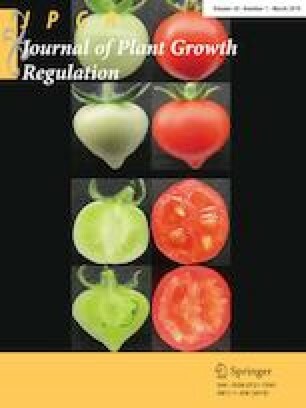 We propose that iron biofortification of wheat (Triticum aestivum L.) through seed priming would be an innovative strategy to address this issue. This investigation attempts to find the interaction of iron oxide nanoparticles on germination, growth parameters and accumulation of grain iron in two contrasting wheat genotypes WL711 (low-iron genotype) and IITR26 (high-iron genotype). Wheat seeds were primed with different concentrations of iron oxide nanoparticles in the range of 25–600 ppm, resulting in differential accumulation of grain iron contents. We observed a pronounced increase in germination percentage and shoot length at 400 and 200 ppm treatment concentrations in IITR26 and WL711 genotypes, respectively. Intriguingly, the treatment concentration of 25 ppm demonstrated higher accumulation with a significant increase in grain iron contents to 45.7% in IITR26 and 26.8% in WL711 genotypes, respectively. Seed priming represents an innovative and user-friendly approach for wheat biofortification which triggers iron acquisition and accumulation in grains. We gratefully acknowledge the financial support provided by the Department of Molecular Biology & Genetic Engineering and Govind Ballabh Pant University of Agriculture and Technology, Pantnagar to conduct this study. We thank Dr. Joy Kumar Roy, Scientist-E, National Agri-Food Biotechnology Institute (NABI), India for supplying the wheat seed samples.